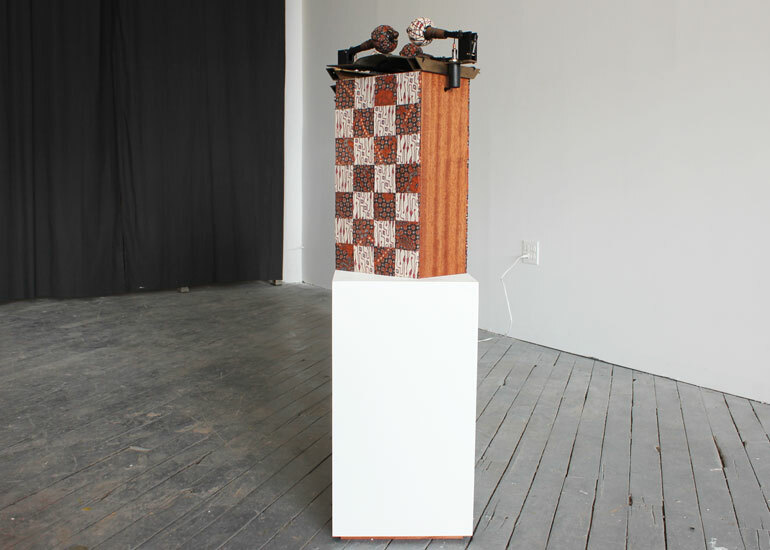 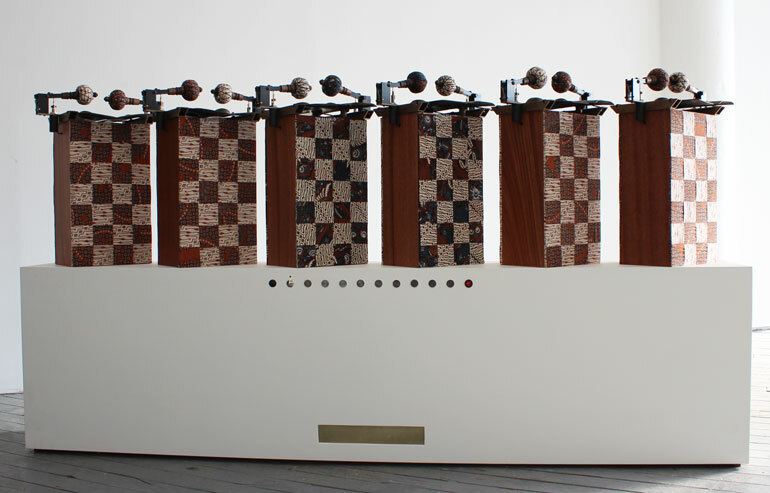 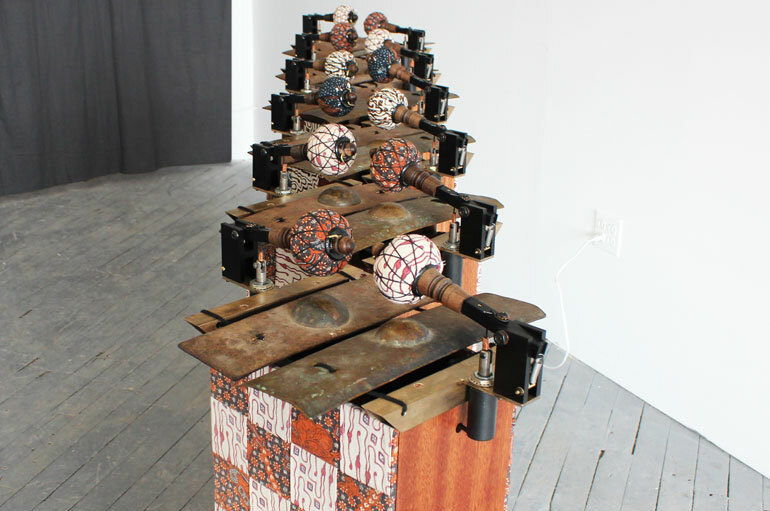 Description: African Mahogany and Silicon Bronze frames with Javanese hand batik fabric, Bronze and Iron antique gamelan keys with PVC resonators, Robotic Mallets, and electronics on a pedestal. 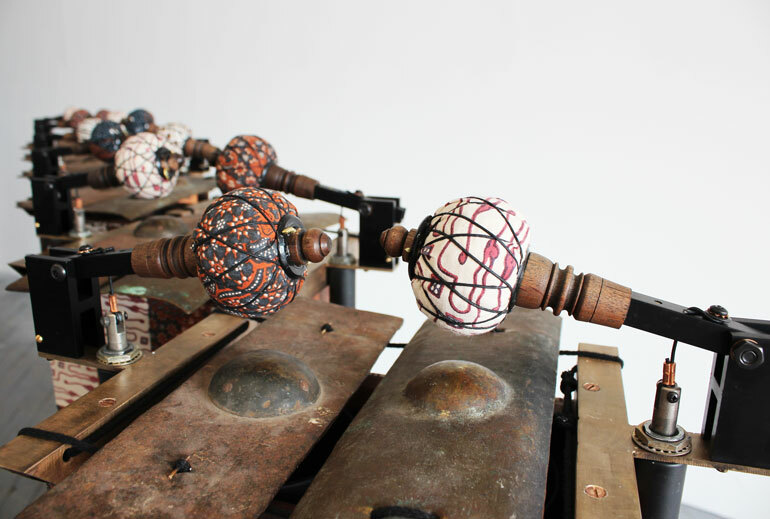 Slentho is an archaic instrument from pre-modern gamelans consisting of metal bars each with a central raised knob, present only in rare Central Javanese ceremonial royal court music ensembles. 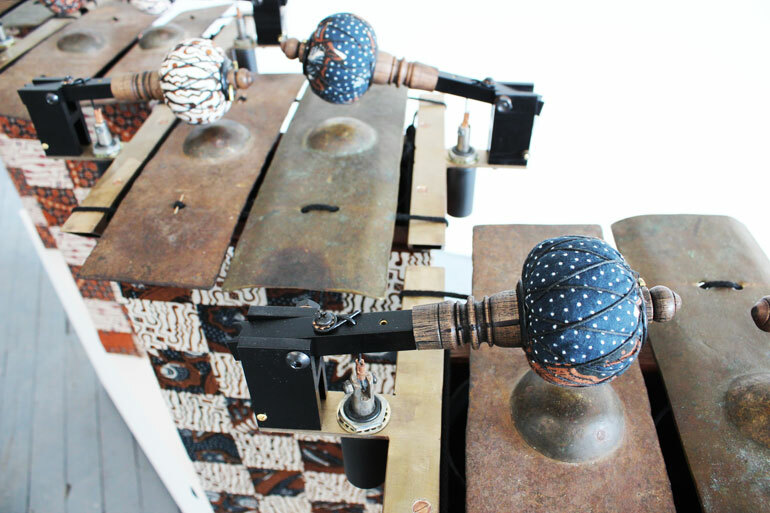 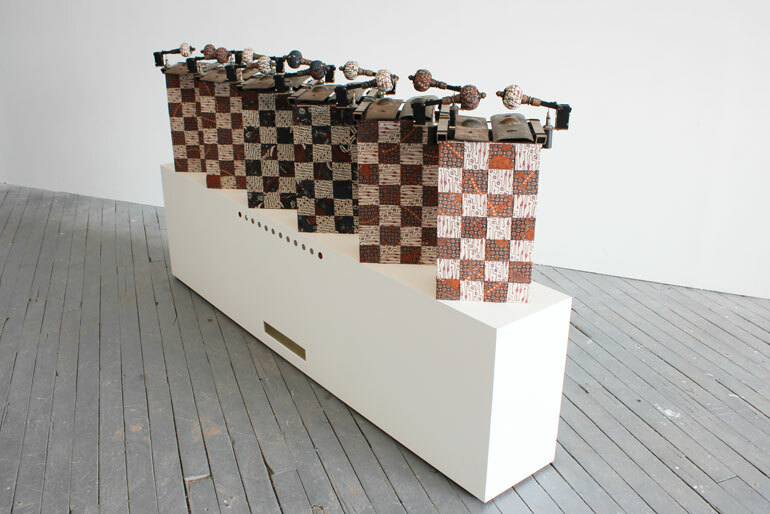 In the piece 2 original Slentho instruments, one made from bronze and one made from iron, are taken apart then reconstructed in wood cases pairing 1 bronze and 1 iron key over pvc resonator tubes each retrofitted with robotic mallets. 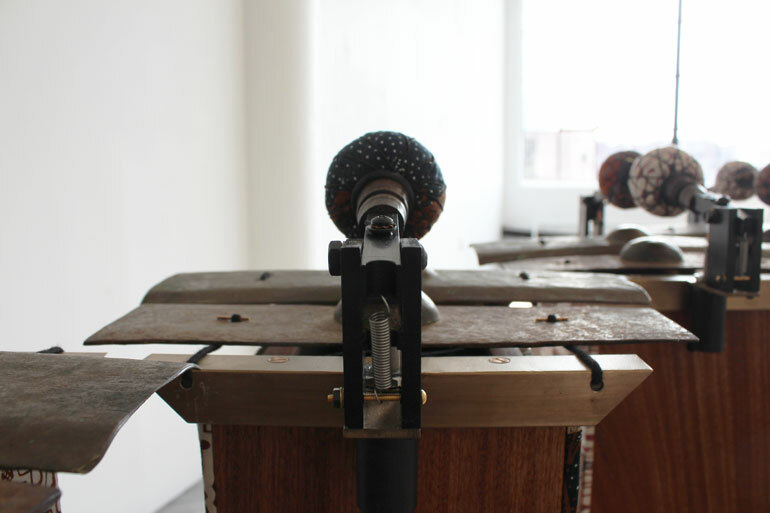 The paired notes are slightly detuned from each other to create a phasing wobbling effect when played together. 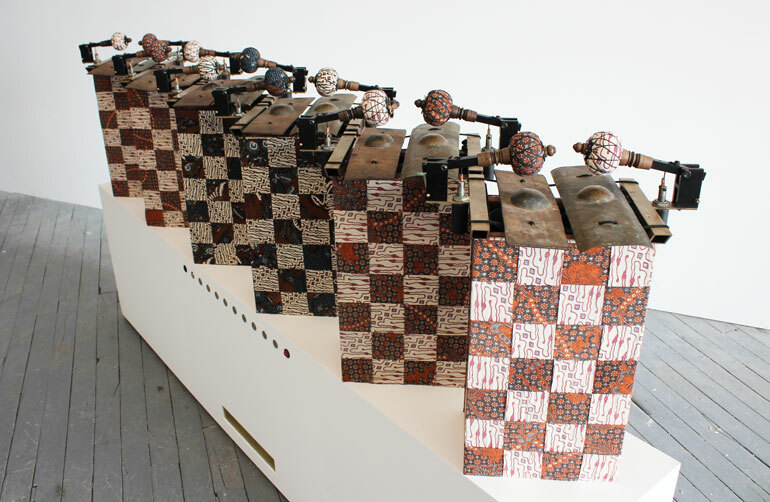 The wood boxes they are mounted in are adorned by two types of traditional Javanese hand batik, one with a motif of a commoner and one with a motif of a palace dweller. 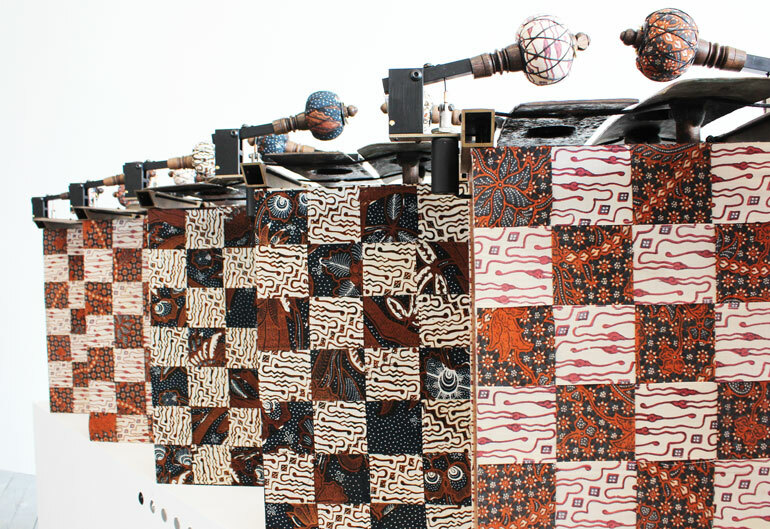 The 2 batik fabrics have been cut into strips and interwoven into each other. 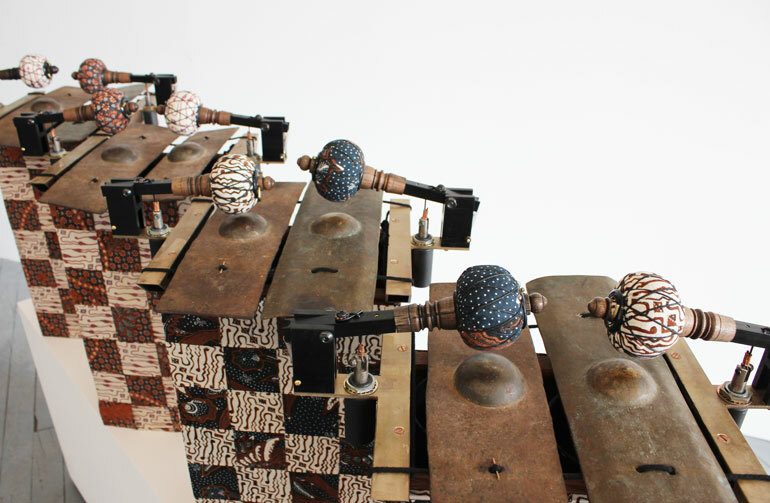 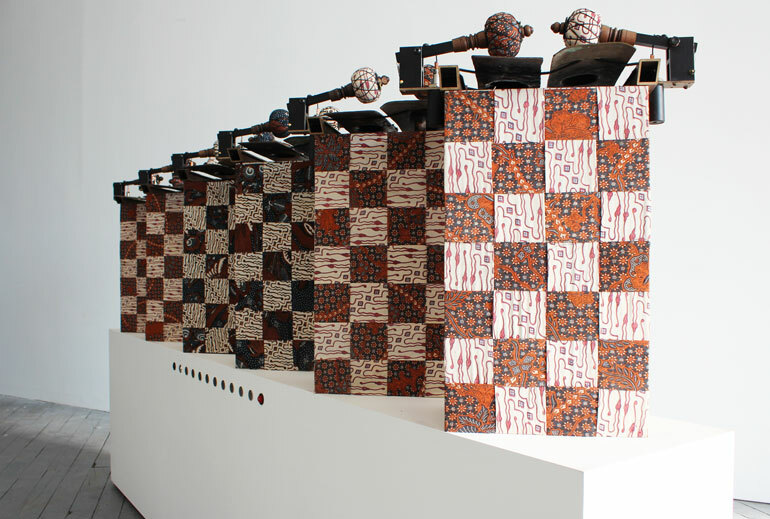 This piece explores contrast as a form of beauty, inter-mingling the modern and the ancient, as well as the spectrum of class dynamics in both the batik motif and the use of ferrous versus non-ferrous metals. 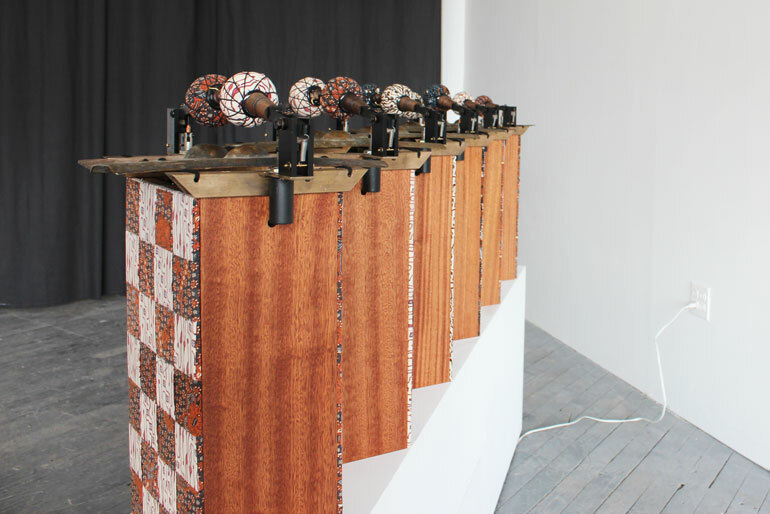 It is also a comment on the conundrum of Javanese culture, which is largely a parable for the developing world's identity conflict over modernity.